To enter all you have to do is submit your name an contact information. The winner will be selected in a random drawing. This promotion is open to “all legal residents of the 48 United States and the District of Columbia, 18 years and older as of January 24, 2013”, and there’s a limit of one entry per person. Go here for the official rules and go here to enter. Good luck! 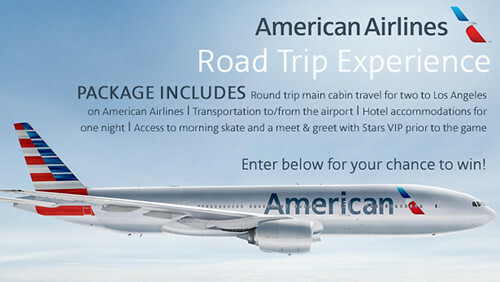 I’m definitely not a hockey fan but would be more than happy to win the prize and the trip to LA!